Received: gifted by Yani - thank you! Tired of the beauty-pageant circuit, Virginia Sauter tosses her tiara, pierces her nose, and auditions for the most unlikely of roles — drum major of the high school marching band. I thought I had read everything by one of my favorite authors, Jennifer Echols. But then I realized WAIT! I have a book sitting on my shelf that my good friend Yani sent me. 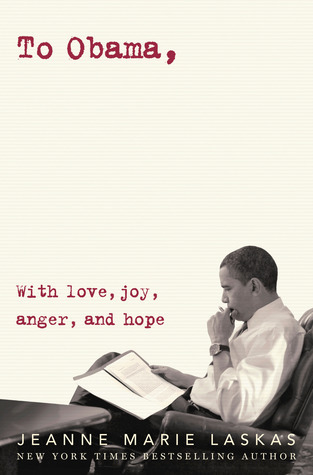 I'll be honest, the cover turned me off right away. My first reaction was -- cheesefest to the max! I hate to admit that I judge a book by it's cover, but come on.. we all do it from time to time, right?! Considering this was written by the fabulous Jennifer Echols, and knowing it was part of her romantic comedy series, I definitely wanted to give it a try. Boy was that a pleasant surprise! I loved this book. LOVE! LOVE! LOVE! It was the perfect dose of just enough comedy and swooney times. Jennifer Echols is the master of this. Another reason why I fell so hard for this book? The main character is named VIRGINIA!! For those that don't know, Ginger is short for Virginia. Yes, that is my legal name ;-) It's always exciting to see your name in print in a book. Though I know this story wasn't written ABOUT me, it sure as heck had a lot of similarities to my high school days. Virginia is the drum major for her high school marching band. She's gotten the role as the first female drum major in her school's history. So the pressure is on. But wait, she has to share her duties with her co-captain Drew. Leave it to Echols to write in a dark haired, dreamy boy. Both Virginia and Drew are at opposite ends, attempting to create a contest winning band from different angles. Instantly you know the two will clash and fall head over heels for each other, but it was the getting there part which made it so much fun to read. I'm noticing a trend in Echols steamy scenes too. What is going on with those back seats?! Never have they looked so flattering and enticing! If you've read her other book Forget You, then you know what I am referring to. Bring on the backseat sexytimes! I adored Virginia's character. Though she kept things dry and sarcastic most of the time, we also saw a glimpse in to her character growth. Jennifer Echols did a fine job of keeping the story in tune with it's romantic comedy genre, yet exposing the reader to a bit more under all that fluff. I think that's why I found myself so engaged in this book. There was a nice balance of just enough humor and romance, but with some substance to counter-act it. 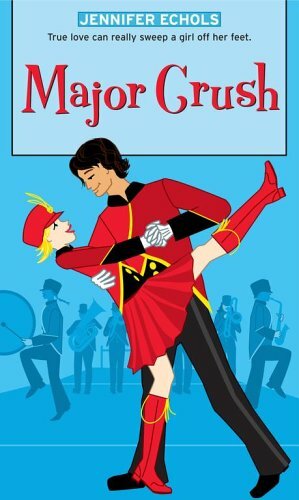 If you're looking for a quick read to tide you over, I highly recommend Major Crush. I read this book over Thanksgiving break and found it to be the perfect dose of goodness to relax me and pull me away from every day stresses. Sounds terrific! Thanks for sharing! This looks cute! I was kind of turned off by the cover too but I like how you made it sound! Ooh, I absolutely LOVE when I see my name in print! I feel like I can relate even more to the character ;) And this one sounds like a cute read! I never see Jacque (or any form of my name really) in a book - so I get you on that excitement! I definitely have this one on my wishlist, I love Jennifer Echols!! I want to read! Why haven't I read!?!?!?! How can you go wrong with backseat sexytimes? I do like me some Echols and this is one of her only books I've yet to read. I'm thinking I need to pick it up when I need some fluff and fun.